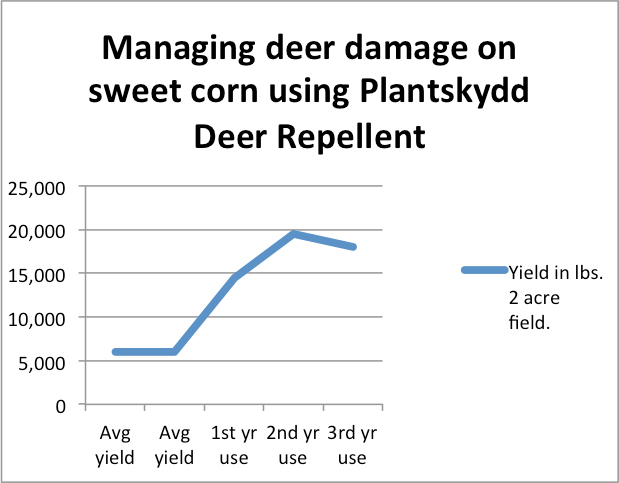 We have been able to control deer damage on corn for the last 3 years using Plantskydd Deer Repellent. Deer densities in rural Pennsylvania are high. Some 30 deer roam around our 2 acres of corn. 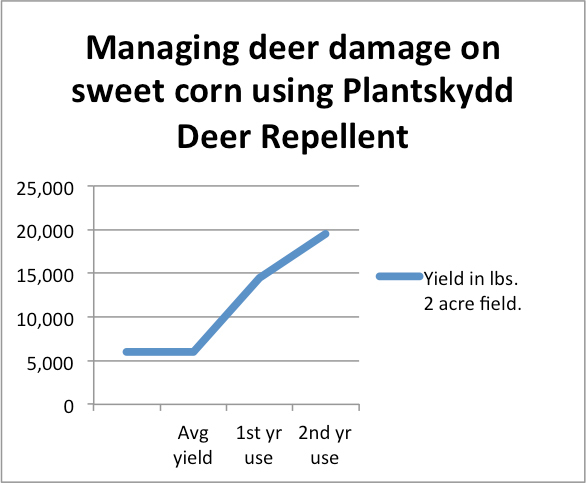 Deer destroy untreated corn. 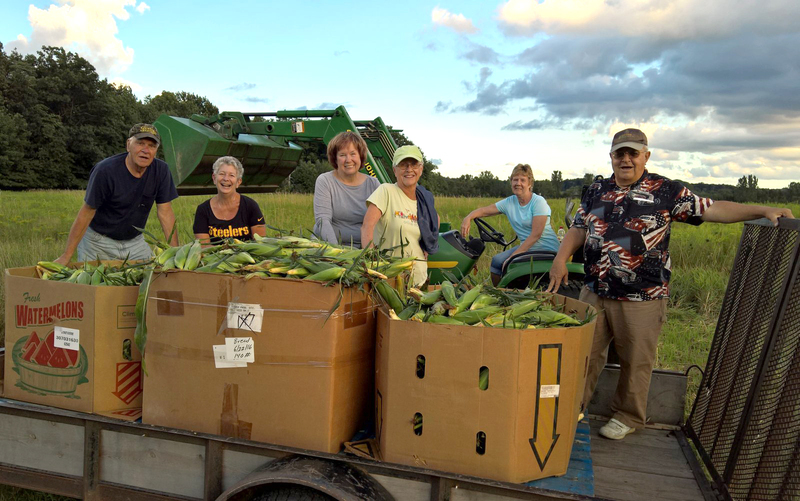 I harvested 20,000 lbs sweet corn on my 2 acres after using Plantskydd ! 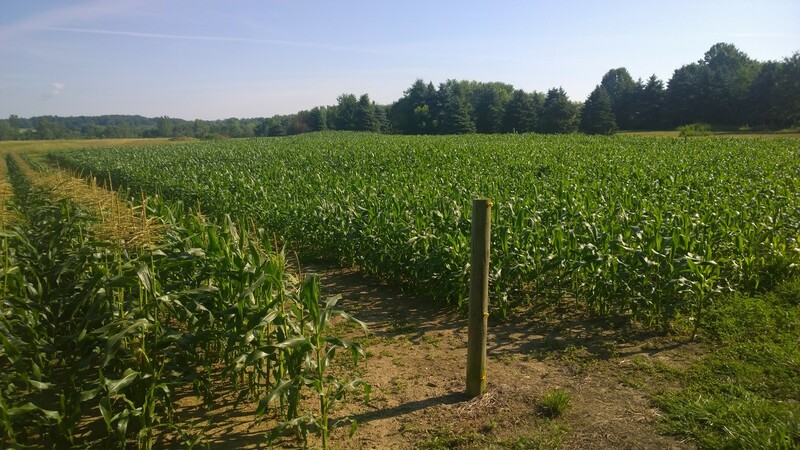 I have been growing sweet corn on 2 acres next to a wooded area in Pennsylvania for a number of years and deer cause a great deal of damage to the crop. Last year, I learned of Plantskydd Animal Repellent from a friend with tens of acres of rhododendrons that were getting continuously damaged by deer until she began using your product. She urged me to try it and I only sprayed a perimeter of about 10 feet into the corn rows when the ears began forming. 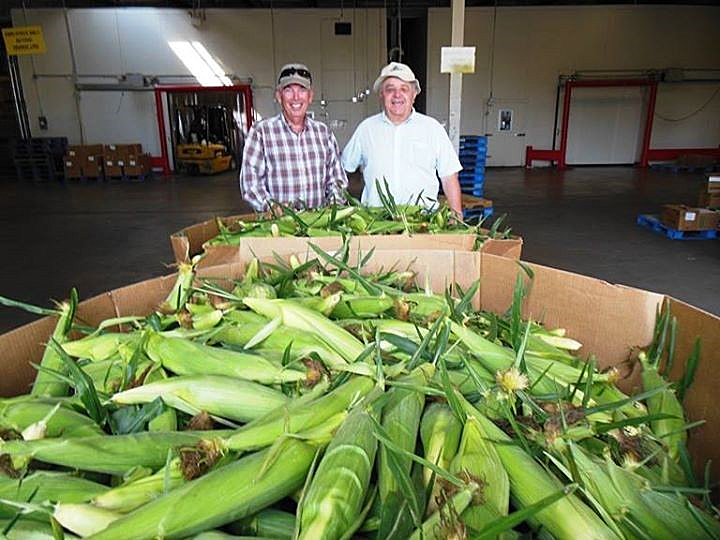 I normally harvest 5 or 6,000 lbs of the corn every year but I didn’t know how much I was losing until I harvested 20,000 lbs of sweet corn on my 2 acres after using Plantskydd last summer. And that’s with a single application. All the corn I grow is for the Second Harvest Food Bank, so I was leery of spending money to get a marginal improvement in yield. Not only did the product protect the corn, but the plants I sprayed at the perimeter were visibly healthier, bigger and yielded more due to foliar fertilizing. I am so taken by the results we experienced with Plantskydd that I am telling everyone I know. And I am glad I invested the time to try it. Furthermore, I was amazed to find that the ornamental shrubs we treated in fall were left completely alone all winter except for the one azalea I didn’t treat. I will now begin growing tomatoes again.